Critics often marvel at the spare or ‘stripped down’ prose of writers like Ernest Hemingway, Margaret Atwood or Alice Munro. Lean, economical prose is tricky to master. Critics have said that Alice Munro’s short stories accomplish in a few pages what others take whole novels to achieve. This is due in part to the short story’s economy of phrase and scene. You simply have less space to say more. Scenes bloated with unnecessary information have the opposite effect. One type of filler is ‘scaffolding’. ‘Scaffolding’ consists of sentences we write that feel like a warm-up to the actual unfolding story. We don’t always remember to take these lines out. If you read through a scene you’ve written and it feels like you’re telling the reader too much instead of showing, it’s often leftover scaffolding. The three sisters had waited all day for their father’s return. He’d driven across the state line to visit their ailing aunt, and none of them knew how bad her condition was. Towards the late afternoon, they’d sat restlessly near the lounge window, looking down the drive. Sam saw the gates at the end of the drive start to swing inwards. “He’s here!” Her sisters ran to the window. When revising a scene, look for long-winded exposition. See if you can spread out the information you reveal (and balance it with action). Try write a scene two ways, first with front-loaded exposition (like the first example above) and then with action upfront. Find which you prefer – the second will likely yield a leaner, more event-focused scene. Often scenes include filler because we don’t ourselves know where they’re going. ‘Pantsing’ your way along is part of the exploration, the fun, of writing. It’s easier to write a lean, well-structured scene, though, when you know what needs to happen in each segment. When you draft a scene for a short story or novel, try doing some pre-planning to work out the purpose. 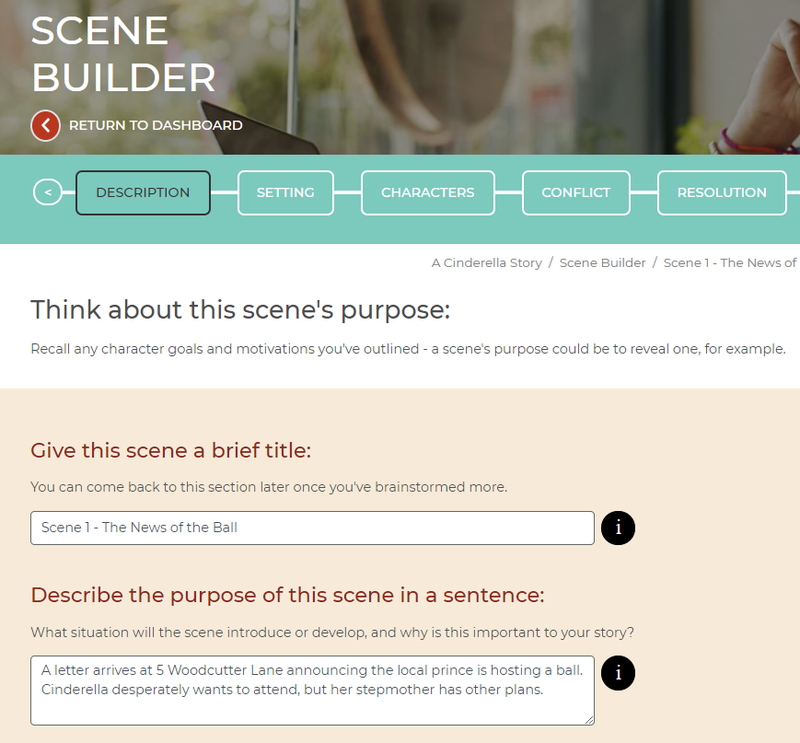 Use the Scene Builder in the Now Novel dashboard to brainstorm the focus and story purpose of each scene and create structured, linked scene summaries to group into chapter outlines. Who appears in this scene? What unknowns could it introduce to develop in subsequent scenes? The prompts in the ‘Add New Scene’ steps in the Scene Builder cover questions like these and more. Once you know a scene’s purpose it’s easier to find the ‘so what?’, the reason every scene matters to your broader story arc. A big pleasure of scene writing is you can play with narrative time. 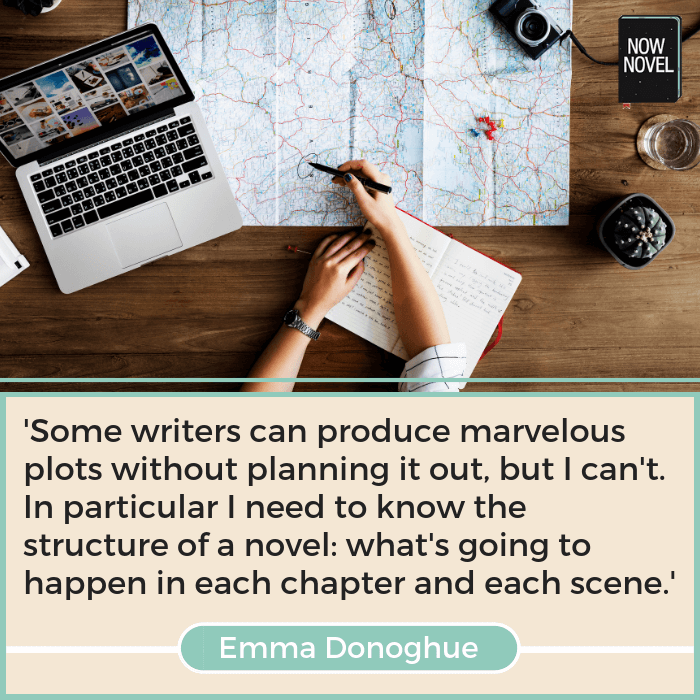 For example, you could describe one character’s situation and start a new paragraph with, ‘Earlier that day, she …’, showing your reader earlier events and actions that relate to what will happen next. Cutaways like this are useful when you want to introduce relevant backstory. Yet make sure the balance of your scene stays focused on the most urgent, relevant time-line. If, for example, you’re describing a tense bomb diffusal, it doesn’t make sense to cut away to lengthy dialogue the disposal techie had with a colleague earlier that day. If the information of their exchange is important, you could find another moment for the dialogue. To check the focus of a scene (and keep it lean), take your draft and double-check how clear focus is, paragraph by paragraph. What new or relevant information to the current scenario does each paragraph give your reader? One of the challenges of scene writing is shifting the story from one location (or time, or viewpoint) to another. Keeping these transitional moments concise and clear helps to keep scenes moving and interesting. Myra says I should get air conditioning, but I don’t want it. Also I can’t afford it. “Who would pay for such a thing?” I say to her. She must believe I have a diamond hidden in my forehead, like the toads in fairy tales. The goal for my walk today was The Button Factory, where I intended to have morning coffee. The doctor has warned me about coffee, but he’s only fifty – he goes jogging in shorts, making a spectacle of his hairy legs. He doesn’t know everything, though that would be news to him. If coffee doesn’t kill me, something else will. Notice how Atwood starts by briefly outlining the new location her character will visit. She gives a brief, character-revealing aside about the doctor, showing Iris’s headstrong nature, and then returns to describe the streets surrounding The Button Factory. The aside is also related to the new setting (a coffee shop), showing Iris’s chain of associations when she thinks about her excursion. The narrative moves smoothly from one place to another, while revealing character. There isn’t information that doesn’t either tell us about a new setting or the focal character. Try to similarly keep scene transitions focused on revealing key details of place and character. The way you construct sentences also can bloat a scene (or keep it taut). Filter words and phrases are those words that ‘filter’ the story through a character’s perception. For example, instead of saying ‘the way was dark, and she stumbled for secure footing’, you might write ‘she saw that the way was dark, and that she stumbled for secure footing’. The second version distances us from the action. We don’t see ‘the way’ itself. We see the character seeing it. I felt that the meeting would drag on forever. I thought that the board would never reach an agreement. The meeting was interminable. I was half-asleep by the time the board agreed. Here, we experience the situation the narrator is describing with less distance from events. 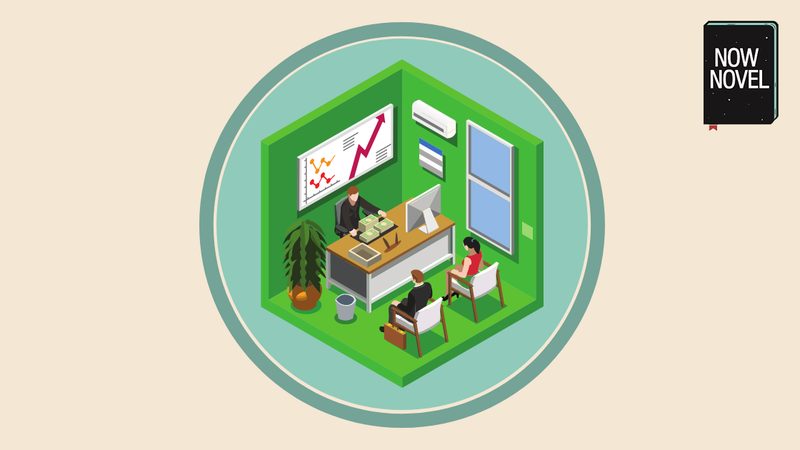 Get helpful tools to structure your scenes and constructive feedback – try Now Novel.